1st brew ... 14 day now for the block party amber .... Still bubbling? Today is my 14th day and per instruction should be ready to transfer & get bottled. My 5 gal fermentation bucket has been at 63-65*f this entire 2 weeks BTW. **It is still letting off small burps threw bubblier every 15-20 min or so. Am under the impression fermentation is NOT finished up ? 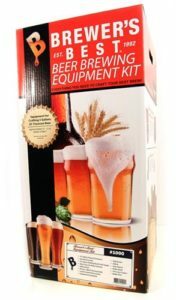 As stated in the cook/brew instructions there is no statements of checking SG values for the essential brewing kit ... just 2 weeks and your good to bottle. All good. As someone on the forum once said, yeast don’t use a calendar. They will do their thing at their pace. Temps sound really good. You may want to consider allowing temps to rise a bit to finish up the fermentation. Do you have a hydrometer? If not , get one and check your gravity. Once it stays the same for two readings several days apart it’s done. You’re right on course. It’s tough but be patient. Sadly i do not ... thus the question or I would be taking samples to test just that ... bummer. In my book it’s not ready to bottle. You could end up with bottle bombs. Relax. Let the temp come up to around 70-ish for awhile. Get a hydrometer, test jar, and a turkey baster and sample it. Make sure you sanitze when you do. You’re going to make some good beer! Ordered ... Guess we got time on our side & if it sits for another week we still don't have an issue ? Just gotta .. GOTTA have it ready by Christmas ! Get a hydrometer. You can't brew without one. It's probably done but you can't be sure without taking a gravity reading and since you're bottling I agree with the above advice to err on the side of safety. Most likely your bubbles in the airlock are coming from off gassing or changes in barometric pressure. Give it 3 weeks total and it's a safe bet it's done. I think it's funny when I rinse out my glass 6.5g carboy with hot water and stick the airlock back in and just phantom activity bubbling i the airlock. I was pretty sure my current brew was done last weekend (14 days) so I took it out of my fermentation chamber. But then I got busy and left it still. One week later I have a mini krausen and a small gravity drop so another few more days it shall remain. Let the yeast be the decider. I have a brew that’s been in the fermenter since first week of October. Just got around to dry hopping it today. Also have a mead and a perry going. Think the mead is about played out at 1.010 which is a drop of 100 points with Belgian String Ale yeast. Perry is at 1.002 with CDB yeast so think it might have a little more to go. Not going to rush the Perry. Mead is going to go on sweet cherries next week. Point is, the yeast is driving the busses on my brews. We bottled today .... Temps are so low here now that even the house is only staying 64-66* now. So hopefully wanting this batch for Christmas celebration that 3 weeks conditioning before heading to the fridge will be sufficient. UPDATE: Checked gravity on the mead and it’s at 0.995. Came down 15 points in a week. Tasted it and the hot taste is gone. Pretty jazzed about how this stuff is coming out. Going to put some of it on various fruit to see how it does. Love it plain though! Other than my blathering, the message here is be patient and let your brews do their thing till they’re finished.